So since Palmyra has been liberated I feel like it’s a good time to share this story from last year. Khaled al-Asaad (b. 1934) was born and raised in Palmyra, also known as Tadmur, Syria. 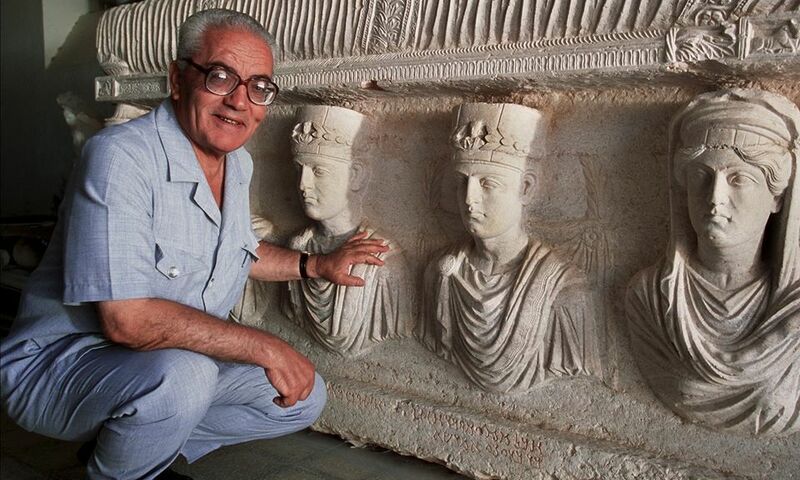 A father of eleven children (including one daughter named after the Palmyrene queen Zenobia), al-Asaad worked as an archaeologist, historian and head of antiquities at the ancient city of Palmyra for 40 years. He was a man with a passion and a devotion to history and to his field, a passion that cost him his life. When ISIS invaded Palmyra last summer, they took over all of the museums and UNESCO heritage sites. With a stated mission of destruction of artifacts (or their sale overseas on the black market), Daesh set about looking for the rarest, most expensive artifacts in the collection. Unfortunately for them, al-Asaad had evacuated some artifacts and hidden many more. For weeks he was held and tortured, but he never broke down and revealed the location of the artifacts. For this he was beheaded publicly, his body left up on display as a warning to others. Palmyra is more or less liberated now. Already teams from as far away as the United Kingdom are preparing to descend on the ancient city to begin estimating the costs of repairs and taking tally of the damages. Thanks to the efforts of one extremely brave man, future generations will be able to better understand and enjoy historical artifacts that were saved from sure destruction at the hands of Daesh. I think it’s important to remember people like him in a world that so often only showcases the nastiest parts of humanity.